Get the Results Your Business Deserves! 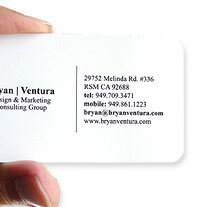 Bryan Ventura Design & Marketing Consulting specializes in web design, graphic design and marketing support services in Orange County, California. Our web design services include full website design, website strategy development, information architecture, website content development, keyword strategies and search engine optimization. In addition we offer website development and web development services including database design, programming, ecommerce functionality and more. We work with small-to-medium sized businesses in Orange County and other companies throughout the country. If you have any questions or would like to receive a quote or consultation on a particular project, please don’t hesitate to contact us or submit a request for proposal.